"Excellent service, very nice staff"
"Very good location, main attractions all within walking distance." "A spectacular hotel with excellent service and facilities spa"
"Very strategic location with the friendly and helpful staff." 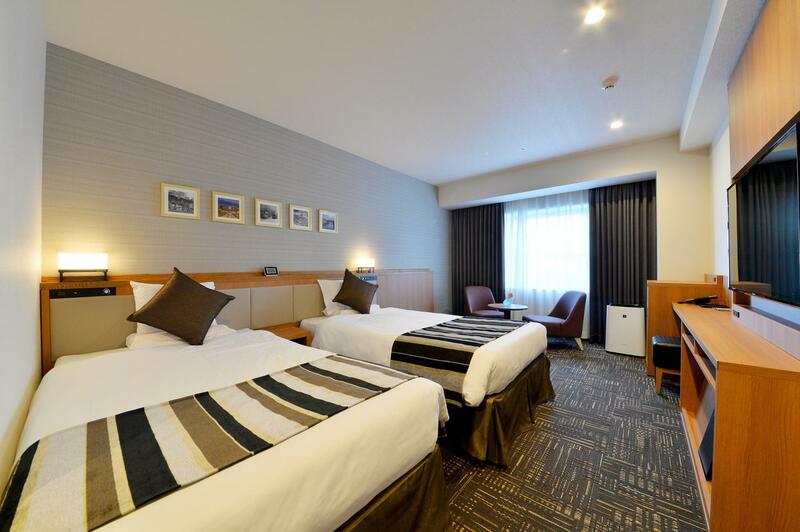 If you are searching for a convenient hotel with easy access to various attractions in Hakodate, Hakodate Kokusai Hotel is recommended. There is a shuttle bus which goes directly to Hakodate Airport. JR Hakodate Station is about a seven-minute walk away, and sightseeing spots in the church district and bay area can be reached on foot. Praised for its hospitality, the hotel prepares a wide range of facilities to ensure comfort for all guests. In addition to the non-smoking floor, each of the guestrooms contains all essential amenities that will allow you to fully relax and unwind after your long, exhausting day. Guests can also enjoy a variety of cocktails in the bar lounge, overlooking the beautiful night view of Hakodate and savor the taste of Hokkaido cuisine. Chinese and Western dining choices are also available. "Convenient location with easy access to the train station." Guests check-in after December 20, 2018 will have to pay JPY 150 per person at the front desk for the bathing tax. My first hotel stay in Japan. Very friendly staff, attenive. They free upgraded my room! The room has hi-tech bathroom, the Onsen was super-B with ocean view! My first ever experience on sky spa in my life! What a great hotel! Highly recommended! Next time if I bring my parents to Hokkaido I'll definitely stay in this hotel again! Good location within walking distance to the morning market, JR station and the red brick warehouses. Room is clean and new. Facilities were fantastic. Second time here in this hotel and would not hesitate to come back a third time. 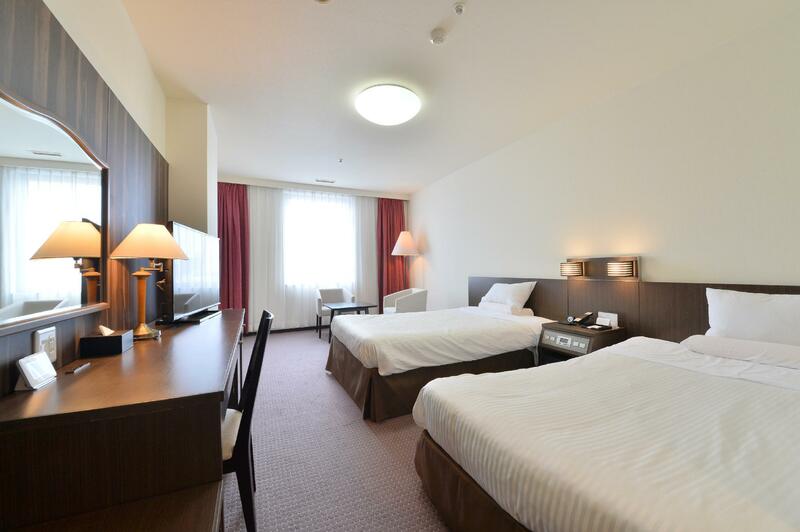 We stay in the main tower, the room is clean, spacious and very comfortable. The public bath is very nice and clean. Also, the view from the public bath is spectacular at night. The hotel is very close to morning market and the red brick shopping district. Thank you for the UCC coffee maker inside the room, it's definitely a plus. We were charged for 450 Yen spa tax for 3 person (150Y for each person) which I don't understand since the staff can't explain it well in English but I wished they would've explained it when we checked in. Overall I love this hotel and would love to come back again. Very good location, main attractions all within walking distance. We drove and parked (800yen per day, multiple re-entry) then walked to the Red Warehouse shopping streets, the multiple zaka (slopes) leading to the Mount Hakodate cable car base station, churches, shrines & temples. The famous Morning market is just 2 streets down. JR is a further 8mins walk ... We stayed at the old wing, big room (3 adults) spacious. 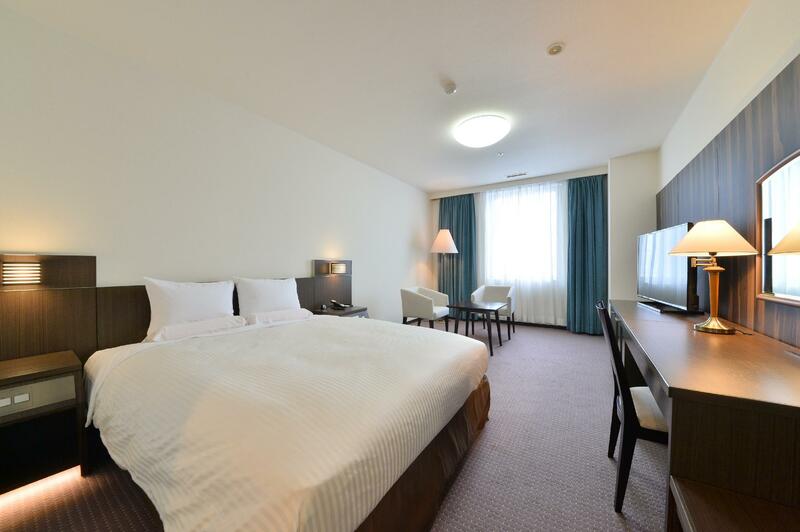 Close to the markets, laundry facilities and very helpful staff. The hotel restaurant Azalea was also excellent. New onsen with nice view ,10 min walk/550yen by cab from station, easy access to everywhere. You can even walk to ropeway station. Convenient location with easy access to the train station. Close to places of interests. Rooms were spacious, modern and clean. Second time back at the hotel, and would be back again! In the middle of everything. Near to warehouse and JR station. Walking distance to the Kanemori Red brick house, the main city, and also a lot of lucky per riot branches nearby, just 1 minute walk from hotel, there will be the lawson. However walking to the Ropeway/ Visting the public hall will be quite a distance away. However, walking through the vibrant city is as easy. Bring an umbrella with you. Price for me is a little expensive but cleanliness and room size is good. 10 mins walking distance from JR Hakodate Station. If you used Google Maps to find this hotel from JR Hakodate Station, it will show you the back side of the hotel, you must walk for another 100 meters to find the main lobby entrance. Very Closed to Hakodate Morning Market. After 7 pm, already quite surrounding. If you used tram, please get on/off on Shiyakusho-Mae Station, 5mins walk only. Thank you for staying at HAKODATE KOKUSAI HOTEL on this time. We appreciate you taking the time to write to us. 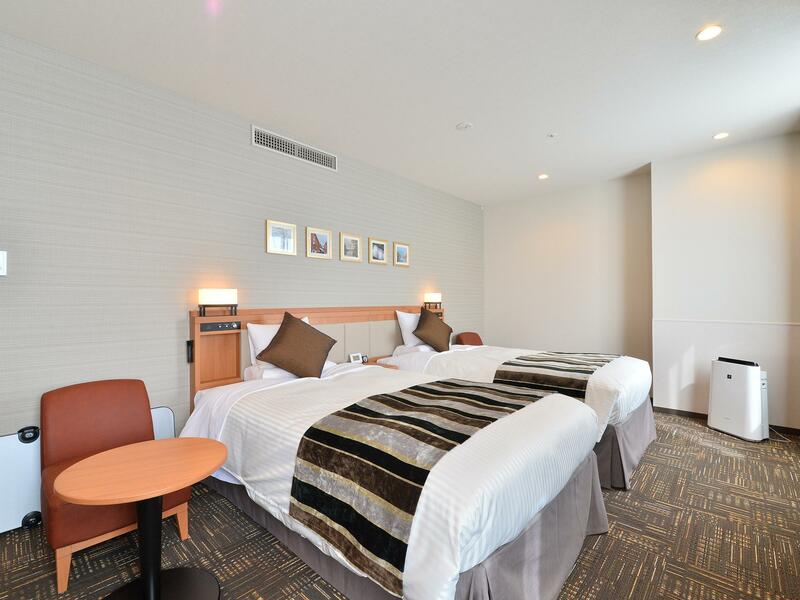 We hope that you will choose HAKODATE KOKUSAI HOTEL when you come to visit again. walking distance to the morning market. nearby convenient store, very accessible. if drive, only 5min drive to Hakodate Ropeway station. Hotel staff were very friendly, they even guide my car to the parking area and assisted me to collect the carpark voucher. Thank you for staying at HAKODATE KOKUSAI HOTEL on this time.Thank you for the great review of our hotel! We are glad that you enjoyed your stay and hope to see you again soon. We got the new west wing, the room was spacious even for us a group of three. And there's a bus right in front of the hotel going to Hakodate stn, but the stn also only around 5-10mins by foot. The staffs were really helpful. Loved my stay here. Walking distance to many restaurants and the harbor-side shopping area. Standard small Japanese style room. Parking was convenient for the rental car. I recommend the nearby sushi restaurant and the brewpub 2 blocks away, both great food. We enjoyed our stay at this hotel. Walking distance to numerous restaurants, shopping and the harbour. Staff was friendly and helpful. Lots of parking if you have a rental car. Standard Japanese style and size of room (small / cozy). The hotel is a little old and run down but still okay. Very near the morning market where you can get fresh spoils and seafood for breakfast and lunch. It is also near the red brick warehouses. Other than that I think it's a decent hotel to stay in. Oh and they didn't do room service for our room even though we stayed two days. Location wise is good. It's near the famous morning market. Was raining when the day after we arrived and the hotel had sufficient umbrellas for their guests. Staffs are helpful. Rooms are clean, spacious and comfortable. We were a bit lost at first while trying to come to the hotel form the JR station so we walked longer than it should take. Anyway, when we checked in, the staff gave us the city map and then going around was a piece of cake. The hotel is not on the main road of Hakodate and it takes a little walking to go to the morning market or the bus/tram station. However, we enjoyed our stay as the room was clean and nicely decorated. The downside was that there's no wifi in the room and we had to come sit in the lobby to get internet connection. Hotel provided a family room which should be considered a triple room because the 4th bed was just an extra mattress placed right in front of the 3rd bed making it impossible to move freely! On top of that, there was no enclosed wardrobe and only some hanging racks were provided. Fool me once, shame on you! Will never ever book this hotel again!